I was working with the EmailMessage Object last night and ran into a question I've spent time answering before. 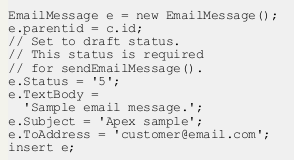 I was writing a SOQL query string to return EmailMessage records based on their Status. The Spring '13 Release notes describe the ability to enable "Email Drafts and Approvals" (Page 63 of the PDF). 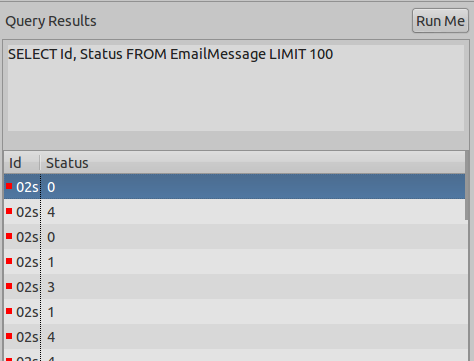 Later, on page 189, there is a code sample that creates an outbound Draft; note the Status value of '5'.